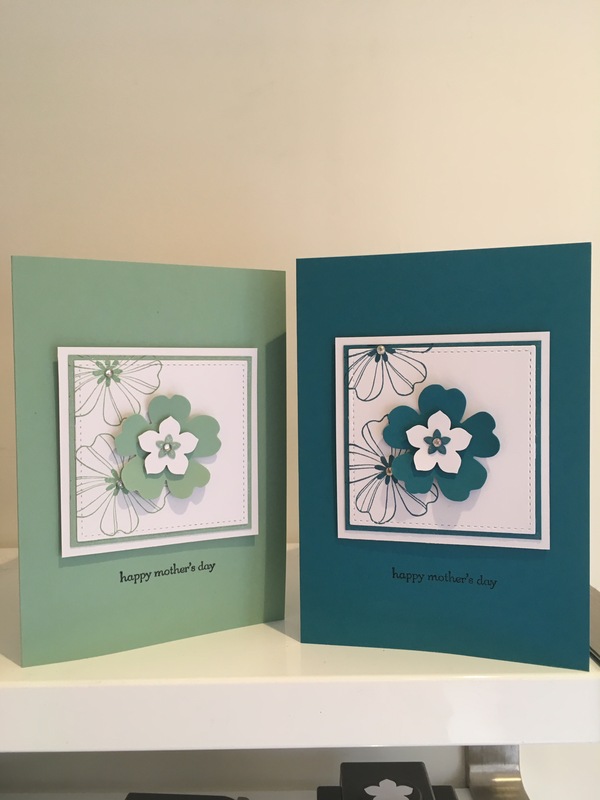 It’s very unusual for me to be thinking this far ahead, but I was inspired to put a couple of cards together for Mother’s Day on the 26th March (put a reminder in your diary!) and hope you like them. Using two different colour ways to get two very different looks, one in mint macaron and the other one in island indigo. Using the flower shop stamp set, the pansy punch and petite petals punch and my much loved and used teeny tiny sentiments stamp set I quickly created this layered effect.